Medicine has found a good ally in 3D printing to create items tailored to each patient and prosthesis. We saw him recently with elastic arm templates or a case quite media: a transplant of skull. Now, in South Africa, see how this technology is also used for the creation of JAWS. The technical team of the Kimberley hospital It has announced that it has successfully implemented two jaws of titanium printed with 3D. These two interventions are, respectively, the second and the third time performed. Little by little, they are consolidating to demonstrate that they are something more than a technical demonstration. The two patients, males of 31 and 20 years, had similar cases: the growth of a tumor He had his jaw was deformed and the doctors had to replace it by a temporary steel implant until the cancer that was affecting them is definitely heal. If you read well up to this point you’ll be thinking: how are printed with titanium? 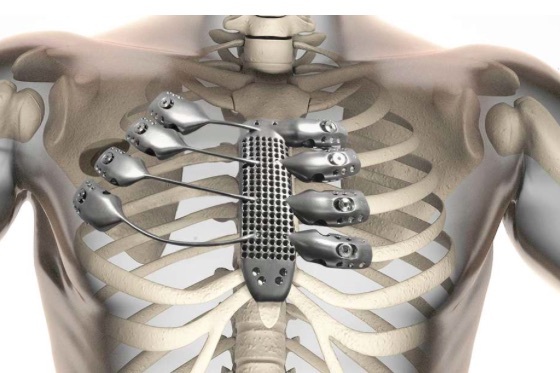 According to the Central University of technology (CUT for its acronym in English) in Bloemfontein, South Africa, has been used Titanium powder for sintering by laser in a selective way and create the part anatomical depending on the needs of each patient. Although it may sound like something really expensive, the team behind the operation says that it is a 20% cheaper than a traditional operation. When is sculpts the piece in a machine of numerical control milling more material is wasted. We’ll see if he manages to expand and reach more medical centers.